Homage to Fromage: Tips for Winning Wine and Cheese Pairings! If you are a fan of wine & cheese, check out this timely article I recently wrote for Cork'd.com. Hope you enjoy - Cheers! With the Holiday Season approaching and entertaining schedules about to kick into high gear, it’s prime time to perfect your wine and cheese pairing prowess! Creamy, comforting and delicious, cheese is synonymous with the Fall and Winter months, and wine can arguably be the perfect accompaniment. But what wine to serve with that wedge of triple cream Brie, charming Cheddar or fragrant Epoisses? Here are a few basic tips for selecting the perfect bottle. Pair wines and cheeses with similar flavor profiles: The same principle that works for food and wine also works for wine and cheese. If you enjoy particular flavors in a cheese, opt for a wine that mirrors those desirable qualities. For instance, a tangy, acidic fresh goat cheese would be well matched with a zesty, citrusy Sauvignon Blanc. Similar flavors create this fabulous flavor synergy! In addition to fresh goat cheese with Sauvignon Blanc, other examples of this principle include Camembert or Brie with Chardonnay, aged sheep’s milk cheese with sherry, and Emmentaler with Merlot. Pair the texture and weight of wine and cheese: The texture of a cheese is an important window into its flavor and can aid in finding a great wine to match it. For instance, if a cheese is creamy and viscous, like Brie, you would want to match it with a wine with similar qualities, say a creamy, buttery Chardonnay. Or, if you’re in the mood for a semi-hard cheese like cheddar, a medium-bodied Zinfandel would probably work best. Some classic examples of this principle include Manchego and Rioja, Gruyère and Gewürztraminer and washed-rind cheese and Cabernet Franc. Pair wines and cheeses with opposite flavors: This may appear contrary to the first pairing tip, however, if you are a fan of sweet and salty or sweet and savory flavors together, this might be the principle for you! Choosing opposing flavors in wine and cheese can make for some delicious flavor combinations. If you have a salty cheese, then it will generally pair well with a sweet wine – as long as the saltiness and sweetness are in balance. 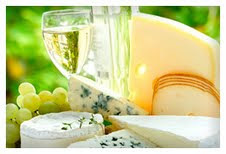 Classic “opposite” cheese and wine pairings include Roquefort and Sauternes and Stilton and Port. While these principles can serve as a guide for establishing some wonderful wine and cheese pairings, the best practice is to experiment and discover what truly pleases your palate! What are some of your favorite wine and cheese pairings? ﻿Following a beautiful Birthday Brunch with the girls, I decided to take a different approach in making "Savor the Moment's" Maple Sticky Buns (pg. 100). The following Sunday, I invited my 15 year old neighbor, Dwight over to help me with some baking. Suffice it to say, Dwight is a baking pro! He comes from a long line of fabulous bakers including both of his Grandmothers as well as his Mother, Janet, our dear friend who sadly passed away two years ago this month at the age of 45. She was an amazing person who was taken from us way too soon, and we think of her every day. In any event, Dwight and I enjoy baking together and reminiscing about his Mom and her many fabulous qualities. Like his Mom, his instinct for baking is uncanny! The first time he came over to bake with me, he taught me how to make an apple pie from scratch by memory - amazing! So when it comes to baking, I know it's always a good idea to have Dwight in the kitchen. Now, I'm not going to lie to you, the recipe for the Maple Sticky Buns is a process, involving making the Maple Sticky Syrup, Pecan Filling, and the dough itself. However, when you pull the delicious, golden buns out of the oven, the process seems alot less daunting. With Dwight's expert guidance, they turned out pretty darn well! Warm, sweet and delicious with a fabulous sticky maple glaze - YUM! While not as good as the ones his Mom used to make, they were yummy. Dwight and I had alot of fun in the kitchen that day and I have included the recipe for the Maple Sticky Buns below. I hope you truly enjoy them. Combine 1 cup pure maple syrup and 9 tablespoons unsalted butter in a heavy medium saucepan. Cook over medium heat until the butter melts, stirring to blend well. Remove from the heat and stir in 1 cup packed light brown sugar. Combing 3/4 cup pecans, 1/2 cup packed light brown sugar, 1/2 cup raisins and 2 teaspoons ground cinnamon in a food processor container. Pulse until the pecans are finely chopped. Pour the Maple Sticky Syrup in to 2 buttered 9 x 13-inch baking dishes. Sprinkle with the pecans. Sprinkle the yeast over the water in a small bowl. Let stand for 8 minutes of until the yeast dissolves. Combine the oats, sugar, cut-up butter, zest and salt in a large bowl. Heat the milk in saucepan until bubbles form around the edge. Pour over the oats mixture and stir until the butter melts and the sugar dissolves. Cool for 10 minutes. Add the egg, egg yolk, vanilla and dissolved yest and mix well. Add 3 cups of the flour and beat 100 strokes with a wooden spoon or stiff rubber spatula. Cover with plastic wrap and let rest for 10 minutes. Stir in the remaining flour 1/4 cup at a time to make a soft dough. Knead the dough gently on a lightly floured surface for 8 minutes or until smooth and slightly sticky, adding additional flour if needed. Place in an oiled bowl and turn to coat well. Cover with plastic wrap and ten a damp kitchen towel. Let the dough rise in a warm, draft-free area for 1 1/2 hours or until doubled in bulk. Transfer the risen dough gently to a floured surface; do not punch down. Roll gently to flatten slightly and stretch to a 12 x 18-inch rectangle. Brush with the melted butter. Sprinkle the Pecan Filling evenly over the dough, leaving a 1/2-inch edge on one 18-inch side. Roll up the dough from the other long edge; press the seam to seal. Cut into 12 equal pieces with a heavy knife. Arrange 6 pieces cut side up and evenly spaced in each prepared baking dish and press down lightly. Cover tightly with plastic wrap and let rise in a warm draft-free area for 50 minutes or until light. Remove plastic wrap and bake at 275 degrees on center oven rack for 25 minutes or until the tops are golden brown and the syrup is bubbly. Invert onto serving plates, cool for 5 minutes and serve hot. A Decadent "Savor the Moment" Birthday Brunch: Bellinis, Bloody Marys & Eggs Benedict - Oh My! Recently, I hosted another "Savor the Moment" Brunch to continue cooking my way through the deliciously decadent "Bread & Breakfasts" Chapter and to celebrate my friend Stacey's birthday! On the mouth-watering menu was Farmhouse Eggs Benedict (pg. 105 ), Toffee Coffee Cake (pg. 98 ), fresh fruit and, for the birthday girl, the Decadent Ice Cream Cake Dessert (pg. 248). 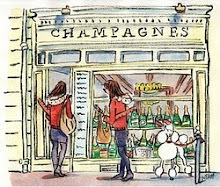 To drink, Bellinis and Bloody Marys ensured a festive and fun morning! A Bellini is a delicious mixture of Prosecco (Italian sparkling wine) and peach puree invented by Giuseppe Cipriani, founder of Harry's Bar in Venice, Italy. Harry's Bar is legendary and was a favorite haunt of Ernest Hemingway, Sinclair Lewis and Orson Welles. While there are a few variations of this classic drink recipe, I opted for a mixture of Prosecco, peach nectar and peach schnapps. Bubbly, fruity and fragrant they went down very smoothly! The Bloody Marys were graciously provided by my friend Emily and, let me just tell you, if you think you've had the best Bloody Mary, think again! This is a fabulous family recipe that has taken years to perfect and - boy is it! In addition to tomato juice, I can share with you the recipe also calls for vodka, beer and, prepare yourself - Jägermeister! The end result is positively delicious - Cheers, Emily. Regarding the recipes, if you haven't made Eggs Benedict before, this is the recipe to try! The Farmhouse Benedict is made with a cornbread that's an improvement on the classic Eggs Benedict - yes, it is possible! The recipe is a bit labor intensive but is well worth the effort and definitely has that "WOW" factor. I followed the recipe as is, keeping the pre-poached eggs in a bowl of water until ready to plate the dish. I recommend preparing the eggs in advance rather than trying to poach them on the spot - it can get a little messy and time consuming if you are cooking for a group! The recipe for the Rosemary Hollandaise in the sidebar of the cookbook sounded a bit "involved" so I found a fabulous recipe for a quick and delicious Blender Hollandaise that I just added the rosemary to (click link for the recipe). It worked beautifully and was creamy, rich and flavorful - I definitely recommend doubling the recipe! The Toffee Coffee Cake was delicious, nutty and sweet and as the tagline reads in the cookbook, I think it did help me make some "friends for life!" The recipe was also very straightforward and easy to follow - gotta love that! The Decadent Ice Cream Cake Dessert is a frozen assortment of flavors including macaroons, Heath bars, Kahlua, chocolate syrup and both chocolate and vanilla ice cream. It is guaranteed to satisfy your sweet tooth and was a hit with the birthday girl as were a gorgeous selection of cupcakes brought by my friend Lee Ann Ryan. After we were sufficiently stuffed, the birthday girl opened some fabulous gifts and we sat around talking and laughing and brunching right on into the late afternoon! I have included the recipe for the Toffee Coffee Cake below and hope you enjoy it with some of your fabulous friends. Don't forget, tickets for our "Savor the Moment" 10th Anniversary Celebration on Friday, November 12th are selling fast! Click here to purchase yours or for more information - hope to see you there. Cream the butter, sugar and brown sugar in a bowl until light. Stir in the flour and 1/2 cup of the brickle pieces. Remove 1/2 cup of the mixture and set aside. Add the baking soda, egg, vanilla and buttermilk to the remaining mixture and stir well. Pour into a greased and floured 9x13-inch baking pan. Top with the reserved brown sugar mixture, remaining brickle pieces and pecans. Bake at 350 degrees for 30 minutes or until golden brown. Note: If buttermilk is not available, add 1 tablespoon of white vinegar or lemon juice to 1 cup of whole milk and let stand for 10 minutes before using. "Savoring the Moment" with the Ladies of the Fund Development Committee! A few weeks ago, in an effort to garner approval for our "Savor the Moment" 10th Anniversary Celebration, I enlisted the help of some delicious recipes from our James Beard Award-winning cookbook to sway the fabulous girls of the Fund Development Committee. Was it fair? Maybe not. Did it work? Absolutely! For dinner I whipped up an assortment of savory selections from the book including the Spicy Cayenne Toasts with Sun-Dried Tomato Spread (pg. 64), Macadamia-Stuffed Mushrooms (pg. 71), and the Plantation Salad (pg. 125). I have to say, all the recipes turned out pretty darn good! If you like spicy, the Cayenne Toasts are definitely for you, with the spice nicely offset by the creamy goat cheese. The Macadamia-Stuffed Mushrooms were also delicious, however, they don't necessarily travel so well. Right out of the oven though they are truly delectable! I served the Mushrooms and the Cayenne Toasts on a bed of dry, black beans to keep them in place and also, because I thought it made a nice presentation! The Plantation Salad is a curious mixture of wild rice, mushrooms, vermouth, chicken breast, shrimp, black olives and lemon juice to name just a few ingredients. While it might sound odd, the end result is positively delicious! Also, the longer it sits the more flavorful it becomes - what's not to love about that? For something sweet to finish the meal, I made the highly addictive White Trash (pg. 247) and Janel Williams, co-chair of the Cookbook Committee, also made some fabulous gift bags of Magical Toffee (pg. 265) with tags reading "Celebrate" to put everyone in a festive mood. These two snacks are both long-time "Savor the Moment" favorites! I wrote about the Magical Toffee last December but the White Trash I had never made until recently. It is a mouth-watering mixture of Crispix cereal, pretzels, salted peanuts, M & M's, pecans and raisins and if you are a fan of sweet and salty - lookout! I am happy to report the meal was well-received, the months of research and planning by the Chairs of the Cookbook Committee paid off, and our proposal was approved! As you may have heard, our 10th Anniversary Celebration, "A Night to Remember," is set for Friday, November 12th at the Seagate Beach Club in Delray Beach, FL! It will be a wonderful evening of hors d'oeuvres, cocktails and desserts from "Savor the Moment," with live entertainment and an exciting Silent Auction featuring fabulous foodie items that are sure to tempt your palate! To purchase your tickets to our event or to make a donation please click here and keep in mind, all money raised from the event goes to fund the Junior League's local community projects. Thank you in advance for your support and I hope to see you there. I have included the recipe for White Trash below and I hope you love it as much as most of the Junior League does! Mix 1/2 package Crispix cereal, 5 ounces pretzel twists, 1/2 can salted peanuts, 1/2 pound M&M's Chocolate Candies, 1/4 cup pecans and 1/4 cup raisins in a large bowl. Melt 1 pound white chocolate in a double boiler or microwave. Add the cereal mixture and mix carefully. Spread on waxed paper and let stand until firm. ** I melted the white chocolate in the microwave which saved alot of time and cleanup! ** I spread the mixture on wax paper on a cookie sheet and then popped it into the fridge to help it firm up faster. After all, the sooner it sets the sooner you can eat it! 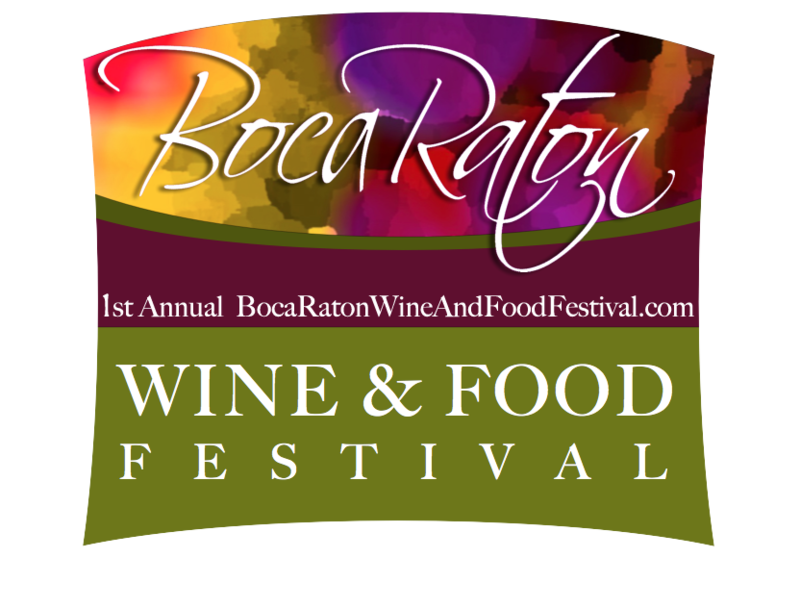 Cheers to "A Culinary Affair": The 1st Annual Boca Raton Wine & Food Festival! Indulge in "A Culinary Affair" at the 1st Annual Boca Raton Wine & Food Festival next Sunday, October 10th in the heart of beautiful downtown Boca Raton. This feast for the senses will feature the fabulous cuisine of 70 of South Florida's top chefs paired with wines from around the world, festive live music and interactive educational demonstrations in an event that's sure to satisfy all your culinary cravings! A Champagne Kick-off Party sponsored by Barefoot Bubbly will open the event to VIP ticket holders from 5-6:30pm followed by General Admission at 6:30pm. Throughout the evening, guests can stroll through the Festival's 7 Culinary Regions featuring the cuisine of France, Asia Pacific, Italy, America, South America and Spain, as well as a Sweet Endings Village. The event's Celebrity Chefs include Concetta Menna of Boca Raton's Anna Vincenzo's, Ron Duprat of Hollywood's Lattitudes on the Beach, Dean Max of Ft. Lauderdale's 3030 Ocean Restaurant and many, many more! Wine and spirits from around the world will be flowing at over 50 tasting stations with volunteers from the Junior League of Boca Raton pouring some stellar selections! The Cookbook Committee will also be present selling our James Beard award-winning cookbook "Savor the Moment" as well as tickets to our upcoming 10th Anniversary Celebration which will be held Friday, November 12th. Other event retailers include The Spice & Tea Exchange, Boca Java, and I Heart Olive Oil to name a few. 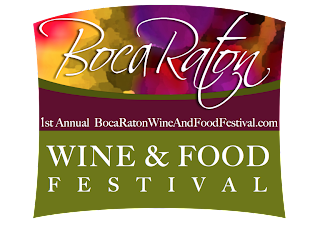 General admission tickets to The Boca Raton Wine & Food Festival are $85 per person; VIP tickets are $125 per person. 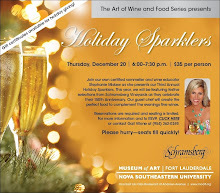 For more information, or to purchase tickets, visit http://www.bocaratonwineandfoodfestival.com/ or call 561-338-7594. Look forward to seeing you there!